Get ICE AIR and cool down fast! Ideal use in computer rooms, factory zones, supplementary cooling, construction, offices, hospitals, and schools. 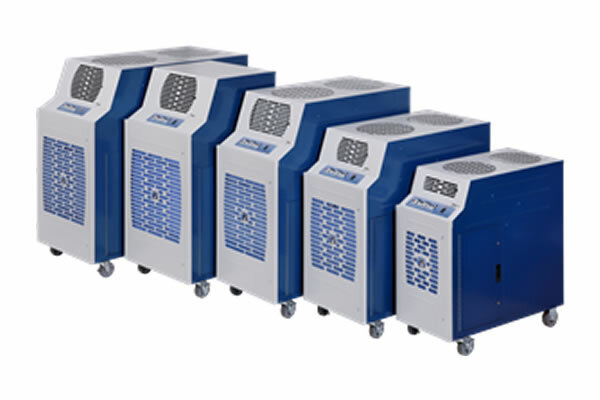 ICE AIR’s innovative designs have continuously redefined the portable cooling industry. In fact, ICE AIR has made advances that were never thought possible, such as the development of 1 1/2-ton and 2-ton units in 115v. Both run on 20 amp circuits. The KPAC is our entry-level product with basic features to cool non-critical applications. The Strategic Air Center is available in capacities of 1 to 10 tons and in a unitary package (SAC), a Split System (SPLAC), and a Water-Cooled (SWAC) configurations.